The Prairie Creek Trails area is a trail system managed by Mid-Indiana Trails, INC located in the southeast corner of Prairie Creek Reservoir, near Muncie, Indiana. 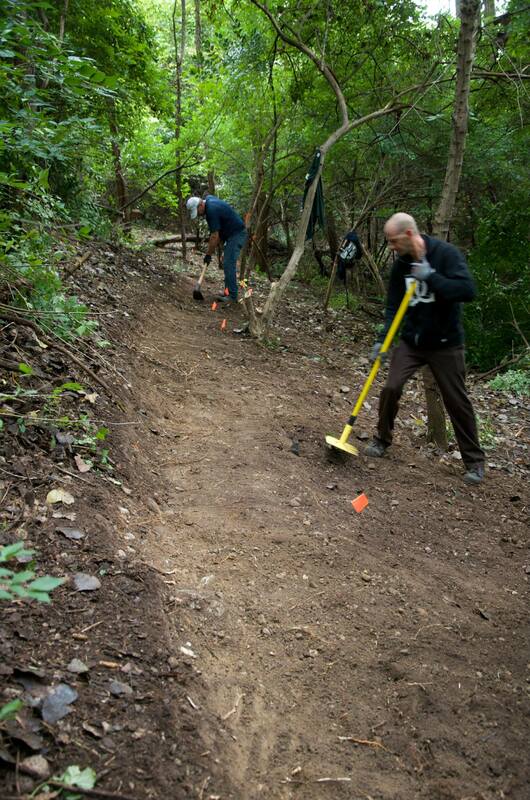 The trails consist of both a wide multi-use path (crushed, compacted gravel) as well as singletrack trails for hiking and mountain biking. The trails wind through a varied landscape of hardwood forest, wooded wetlands and small streams, all adjacent to Prairie Creek Reservoir. A surprising amount of elevation change (at least for East Central Indiana) provides ouststanding hiking and biking. The area is home to a large number of animal and plant species for your viewing pleasure. The multi-use path crosses a small stream on a wonderful bridge/overlook built by Ball State Design/Build Students. Parking is available on the northwest corner of the intersection of County Roads 650 South and 544 East along with the parking lot for Red-tail Nature Land Conservancy Nature Preserve, where the multi-use trail connects to existing trails and the Cardinal Greenway. Looking for information about the Equestrian Trails? Visit the Muncie Light Horse Club website or the Cardinal Greenways Equestrian Trail Site for more information. Equestrian trails are located on the west side of the reservoir. Horses are not permitted along the multi-use trail or hiking/biking trails located on the south and southeast side of the reservoir.